These words were written 11 centuries ago, after Byzantine emperor Constantine VII ordered scholars to compile centuries of information on farming, going back to the Greeks and Romans. The resulting work, Geoponika: Farm Work, has recently been translated for the modern reader. Modern day researchers also recognize the European honey bee is one of the world’s most sophisticated and interesting creatures. Through a combination of individual and colony behavior, it can learn, adapt, communicate, divide up its labor, utilize senses of direction, sight, and smell, help propagate its colony, and engage in skills far in excess of its relative brain capacity. A bee has one million neurons, compared to a human’s 100 billion neurons. Research has shown that they have the ability to learn from their experiences in spite of their brain size. Inquiring minds want to know, “Are their skills hard-wired, i.e. instinctual, or are they capable of learning and abstract thought that borders on intelligence?” If we interpret their actions correctly, we may see a level of intelligence and creativity far in excess of their brain size and their place on our planet as a lowly insect. Andrew Barron and Colin Klein from Macquarie University in Sydney, Australia, propose that insects have the capacity for consciousness, or awareness, due to the “intricate circuitry” of their brains. It’s doubtful that they fly around contemplating the meaning of life, but they do have the capacity to feel something, even on a primitive level. Instinct vs. Intelligence is a dichotomy that we simple bee fans will continue to disagree on till the cows come home. The experts don’t agree which is the dominant force, so don’t expect to find a conclusive verdict here. You will have to decide for yourself, or like most of us, just embrace the mystery of it. So let’s look more at the issue of instinct to understand honey bee behavior. In other words, what are they pre-programmed to do? The female workers’ tasks change throughout their short life, as nurse bees, house bees, scout bees, guard bees, and foragers. We know that the queen’s pheromones have a great influence on their behavior, but where do we draw the line between instinct, queen influence, and learned intelligence? Research is conducted along very specific, narrow lines, to weed out variables that could skew results. The cold eye of science can be very accurate and insightful, but can also ignore the wonderment of nature. To me, this is what makes beekeeping so fascinating. I don’t view my bees with the detachment of a scientist, but with the awe of a fan. I view their abilities, whether intelligence or instinct, with curiosity, appreciative that they share their existence, and gifts of honey and wax with us. Wikipedia describes instinct as “the inherent inclination of a living organism towards a particular complex behavior.” They cite nineteenth century French entomologist Jean-Henri Fabre, who described instinct as behavior that does not require cognition or consciousness. Does that describe honey bee behavior, or is there more to it? In The Hive and the Honey Bee, (1992 edition), Norman Gary wrote the chapter titled, “Activity and Behavior of Honey Bees.” He makes a strong argument that the behavior of honey bees is hard-wired, or instinctual. The bees unconsciously see a need within the hive and respond to it. He cautions us against the tendency to “anthropomorphize” our understanding of bees, meaning to attribute human feelings, activities, and characteristics to non-human beings. Anthropomorphizing is a game we often engage in, for example when we think of a certain mouse who wears clothes, sings, walks on two legs, has a girlfriend named Daisy, and a dog named Pluto. However, there is a difference between anthropomorphizing for fun and trying to understand true honey bee behavior. As an example, Gary says we typically think from a human standpoint that bees forage intensively to build up their honey reserves for the long, cold Winter that lies ahead. But with a life span of six weeks, a foraging bee wouldn’t know anything about the upcoming Winter. And most of them wouldn’t have to worry about it anyway because they’d be dead before then. There are many words that we ascribe to bees, in an attempt to make sense of their behavior from a human point of view. They have “duties,” “responsibilities,” and “division of labor.” We say they are “angry” when they sting, “clever” when they build comb, and “ambitious” when they work overtime. Gary says their activities are not nearly as brilliant as they seem to be. Nor do they involve a master plan for the betterment of themselves or their colony. 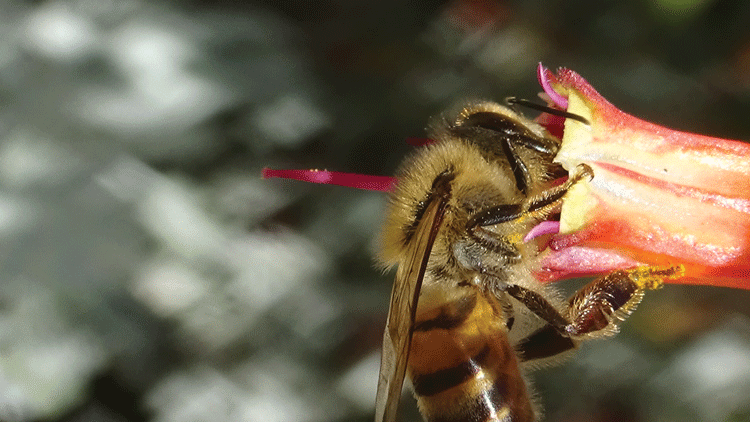 Each bee responds to a stimulus nearby, without awareness of the big picture. Their age, genetic composition, internal and external factors, sensitivity to stimulus around them, and chemical and physiological changes that develop with age, are key factors that influence their activities. Virtually all insect behavior is genetically programmed from the moment an egg is fertilized. They are basically biological robots, performing activities that favor the survival of the colony. Each bee’s response at any given moment is dependent on its condition. 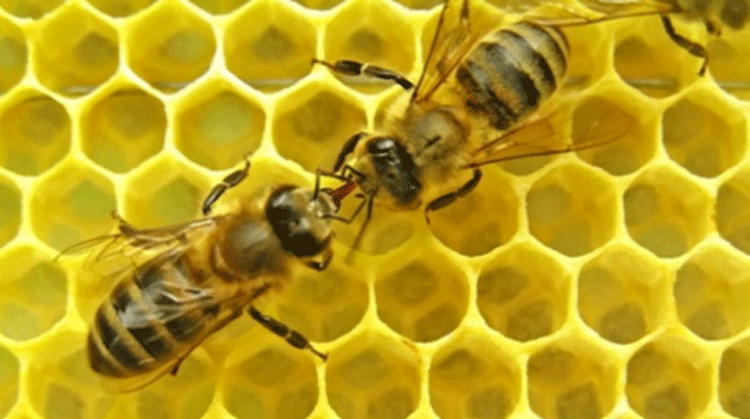 A bee near a cell containing larva responds differently than a bee near a queen. She might sense the stimulus of a hungry larva, and reflexively feed it. A bee carrying a particle of wax would be stimulated by a cell that needs to be capped. The more it responds to a particular stimulus, the more it learns and duplicates that behavior next time. Their appreciation of bees is impressive, and it is enlightening to know this knowledge existed in ancient times. But is advanced evolutionary behavior by insects proof of consciousness? 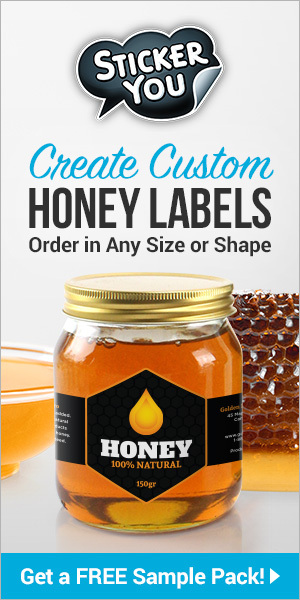 We know that honey bee skills include color recognition, including ultraviolet light, and a strong sense of smell. They utilize these physiological traits to learn which colors, and which odors, are most rewarding for finding nectar. Among their other cognitive skills are the use of abstract thought and symbolic language, to distinguish landscape and the way home after foraging for distances of perhaps several miles. Learning through experience is a form of intelligence. One of the greatest discoveries of abstract thinking among honey bees goes to Karl von Frisch, an Austrian who won the Nobel Prize in physiology and medicine in 1973. He and his team unlocked the key to the Waggle Dance, the elaborate pattern of movements in which bees communicate to others in their hive the location of such things as a good source of nectar, or a place to build a new hive after a swarm. He discovered that the “dance” (another anthropomorphic term), includes time and distance to a source, relative to the position of the sun, including any obstacles that may be in the way of their travel. And all this is communicated in the dark! Other researchers have argued that visual dance isn’t significant because of the dark. 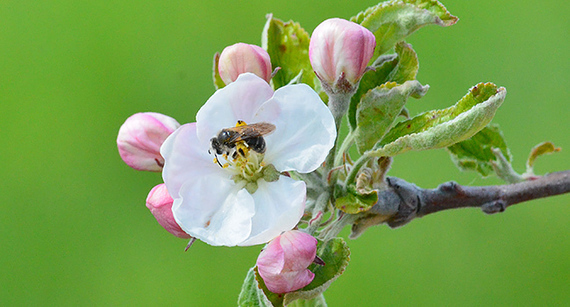 It may be the odor of the plants that lingers on the foraging bee after returning from the field that contributes to finding the source of the nectar. And still other researchers claim that sounds from the dancing bees are the key. In any event, the mystery and magic of the waggle dance are an ingenious form of communication. Another school of thought has become popular lately that says consciousness lies not with the individual bees, but with the colony as a whole. 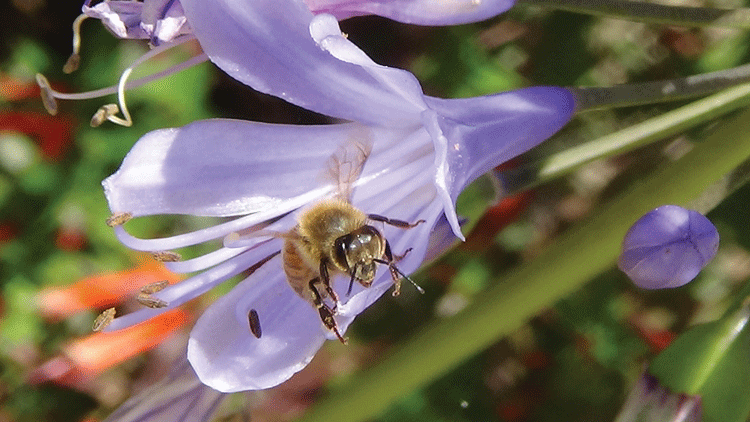 Proponents use the term “superorganism.” The Merriam Webster Dictionary defines superorganism as, “A complex structure of interdependent and subordinate elements whose relations and properties are largely determined by their function of the whole.” Using this definition, the behavior of the colony dictates the behavior of the individual bees. 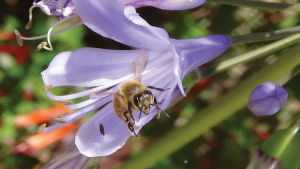 Colonies are a complex structure of interdependent and subordinate elements–the bees. Social animals like bees cannot live alone, and their behavior only makes sense when viewed as colony consciousness. Through their collective behavior and short life span, they keep the colony alive and it is the colony which determines behavior. 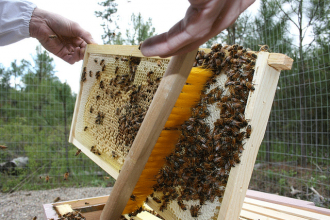 Jamie Ellis from the University of Florida writes, “Put a group of honey bees together and you get behaviors, attributes, characteristics, etc. that are otherwise absent in individual honey bees.” A colony is more than the sum of its parts. Another study was conducted with bumble bees (alas not honey bees), led by Lars Chittka from London’s Queen Mary University. They showed that bees could learn to pull on a piece of string to release nectar. When new bees watched experienced bees pull the string, the new bees learned at a more rapid rate, successfully pulling the string 60 percent of the time. In a recent issue of Science Magazine, some of the same researchers described how they trained bumble bees to move a ball to a target location to receive a treat. Chittka summarized, “…there is more and more evidence, both from experiments on small-brained insects and computational neuroscience, that small circuits can deal with exceptionally complex challenges.” This creative problem solving shows how new behaviors can develop as the need arises. So we started out with a strictly instinctual, pre-programmed, robotic explanation of bee behavior. Then we mixed in learning from experience, communication through the waggle dance, and expanded it through superorganism behavior. Do these factors themselves conclude honey bee intelligence? Newer technologies have enabled a level of research that was never available in the days of von Frisch. For example, today micro-electronic devices can be placed on bees to track their movement, and miniature video cameras can see inside dark hives. In 2010, Thomas Seeley of Cornell University published his book Honeybee Democracy, which follows his adventures tackling honey bee communication and intelligence. In one experiment that he conducted on an isolated island, several swarms of bees had to choose their new home site from among several empty hives that he set up in different areas. Every box except one had problems as a home site, whether it was capacity, location, size of opening, etc. Each swarm had approximately 70 scout bees searching for their new home. The scouts advocated for different new homes based on their waggle dance. Through a process of elimination, persuasion, and promoting the advantages of their preferred choice, the swarms ultimately selected their new homes. They made the correct decision nine times out of 10 trials. With electronic trackers, Seeley was able to display graphically how the scouts walked through the interior of each hive they visited, checking out its suitability. He proved through group decision-making and brain power how the swarm scouts ultimately reached their final decisions. Quite a remarkable feat on the part of the bees. The arguments (and emotions) for instinct vs. intelligence are strong on both sides. Like so many factors in life, it is not a black or white issue. Do honey bees in fact perform their acts of brilliance, such as the waggle dance or selecting the best home site, without thought? If so, then perhaps the definition of intelligence, including consciousness and creativity, needs to be re-evaluated. Honey bees’ placement on the consciousness scale of 1-100 will probably continue to move back and forth as new information comes to light. When and if we ever reach an ultimate conclusion regarding their range of instinct vs. intelligence, it will probably not change how we manage our six-legged “livestock,” or how much honey we manage to harvest. If anything, the ongoing mystery just adds to the fascination of these complicated, sometimes ornery, creatures of nature. David Donnelly holds a Doctor of Education (Ed.D.) degree, and is a backyard beekeeper.